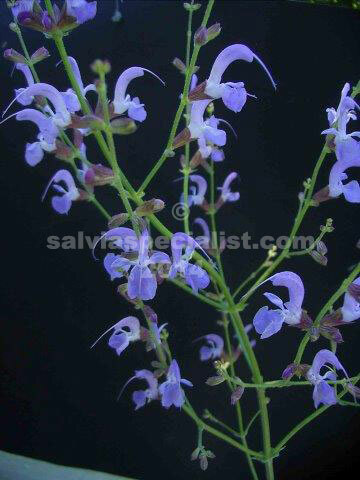 This european salvia is ideal for cold winters and hot sunny summers and good drainage. It is pretty easy going if it does not get much water in summer, otherwise it will rot. The base foliage is grey and somewhat hairy. Spring and summer flowers of pale mauve are on 30cm spikes. It sets seed well which come up easy enough if you get the watering right. 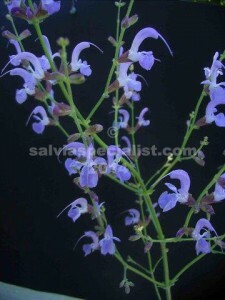 Because of its special watering requirements it doesn’t fit into my nursery that well and usually gets overwatered and dies, so that it is not often for sale.